I'm in Wolfsburg until August 7, 2010. I want to make a trip to visit a new friend in Hannover. I met her on my connection flight from Frankfurt to Hannover. She has invited me to visit her city. The train ticket seems a little pricey. How much should I pay for a train ticket for that short distance? Thank you! The distance from Wolfsburg to Hannover is less than 100km. I agree that the fare is pricey compared with a train journey for distances of 500km or more. For the Deutsche Bahn time is money. 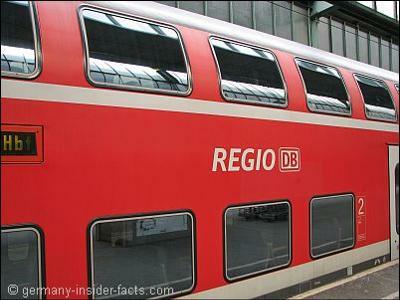 The most expensive tickets are those with an ICE train, the cheapest with an Regionalexpress (RE). The journey from Wolfsburg to Hannover takes 30 to 35 minutes with an ICE or IC train, and 58 minutes with a RE. Regular Prices in second class are: RegionalExpress 15,90 EUR one-way, or 31,80 EUR return, ICE 23,50 EUR one-way for a regular ticket. Depending on the day and time of the day you might get a special price for the ICE train. If you return on the same day from Hannover to Wolfsburg you can buy a Niedersachsen Single ticket for 23,00 EUR. This is only valid on regional trains, not for the ICE. However, it would be valid on trams and buses in Hannover as well. The Niedersachsen ticket is valid for one day, respectively until 3am on the following day. From Monday to Friday you have to start the journey past 9am, on weekends you can start as early as you want. You can check available trains and specials for ICE trains and book tickets online at the Deutsche Bahn website . I hope you enjoy your stay in Germany. The weather is quite nice at the moment. To answer your first question, the seat reservation would not be valid on the earlier train. If you have a Sparpreis / savings fare ticket, this is only valid on the booked train. The more expensive regular ticket can be used on other trains on that day. As for the second question, if you travel later in December it is possible that the train has changed. On December 10 the timetable of the Deutsche Bahn changes. This time they announce major changes, because of the completion of the new fast line from Berlin to Munich. 1) I purchased a ticket from Frankfurt Airport to Stuttgart main station. The departure time is 8:51 am, however there is a train at 8,09 am . If I complete my Custom and passport control earlier, could I ride on the earlier train, however I have a reserved seat on the later train?? 2) the next day I have a booked train from Stuttgart to Dusseldorf with 1 connection as this was booked 2 weeks ago to travel in December. I was checking the time table to establish the platform number for the connection, however I picked up that this is no longer a connection but a direct train to Dusseldorf. Thanks for your kind words about my website, I am happy you find it helpful. I am always adding more pages so the site will be growing in the future. I am glad you enjoy Germany. Feel free to ask more questions, or add a story about your favourite places, if you like. Thank you so much for your informative response! I am very much enjoying the weather and my first trip to Germany! I love your country! My husband was here 5 weeks before I arrived, and he has told me that the weather is much better now that it has been! He was also here back in January when you had the unusual winter!